Nothing sounds more delectable than a warm thali (plate) of good Bengali or Indian food when you’re craving something desi and Kolkata’s famous, ‘The Bhoj Company’, ticks all the right boxes when it comes to just that. Luckily for Dhaka residents, Bhoj has a franchise right in this city. 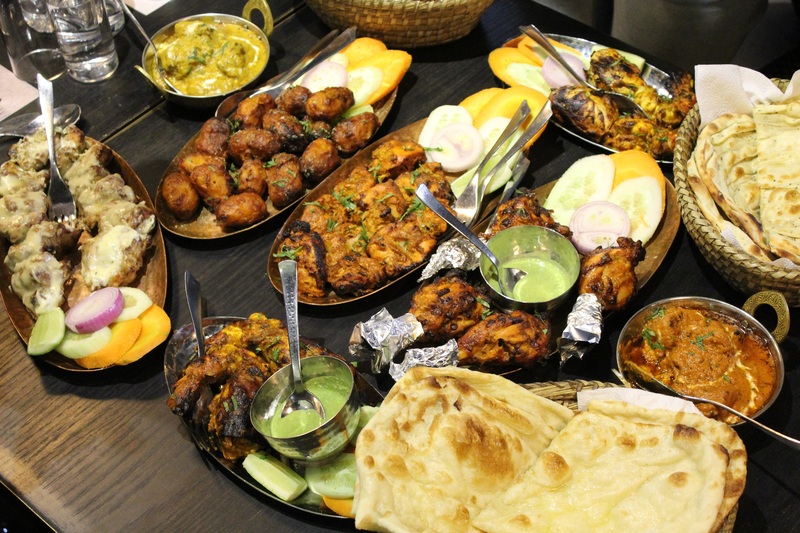 Located at Banani, they have quickly managed to make themselves known to food enthusiasts all over town. This particular visit of mine was to give their Indian dishes a try and boy have I been pleased! Our table ordered all kinds of Kabab you could dream of. From Tangri Kabab to Chicken Reshmi we had it all. However, what I was looking forward to were the classics; Palak Paneer and Butter chicken with some good of naan. The Palak Paneer is a very traditional Indian dish mostly popular amongst Shakaharis/Vegetarians in India. Upon serving, the vibrant green colour was quick to catch my eye and I couldn’t wait to dig in. My verdict? This dish is probably the best Palak Paneer I have tasted. The ponir cubes had a spongy texture and acted as an amazing replacement of meat. The Spinach was puréed to perfection and had a mellow flavour of different spices. While the dish tasted amazing by itself, the butter naan was highly disappointing. Instead of having an infused flavou of butter to the naan, it was dripping with it to the extent that blobs of oily mess fell on the table when it was being served. Some may prefer it this way but most people don’t so this one was a miss.